Donut Worry Short Sleeve T-Shirt. Soft cotton knit tee with a hint of stretch for all-day comfort. A donut graphic with Donut worry, be happy text adorns the front. Product measurements were taken using size 4 Years (Toddler). Please note that measurements may vary by size. 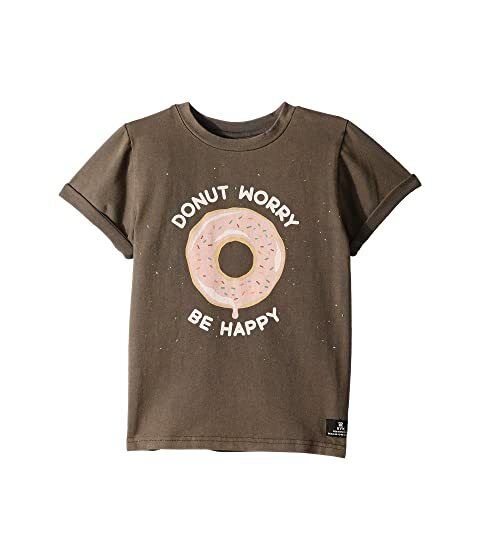 We can't currently find any similar items for the Donut Worry Short Sleeve T-Shirt (Toddler/Little Kids/Big Kids) by Rock Your Baby. Sorry!